The power of healing is in nature, we just have to make use of it! due to their “intelligence” they have immune suppressive and immune modulating qualities that are they reduce or enhance the functioning of the immune system if necessary. they remember the microorganisms thus the immune reaction is faster and more efficient in case of the eventual next attack. Transfer factors are proteins your dog naturally produces. These proteins join with other immune-specific molecules to create antibodies. Antibodies are like little soldiers that scour the body seeking and destroying damaged cells. But when your dog has cancer, he’s can’t produce the amount of transfer factors he needs. And without enough transfer factors, he can’t create the antibodies he needs for stronger health. That’s why we created K9 Transfer Factors™. When does my dog need K9 Transfer Factors™? Transfer factor supplements alone aren’t known to have any effect on dogs with cancer. But if your dog is taking K-9 Immunity™, we HIGHLY recommended using K9 Transfer Factor™ in conjunction. 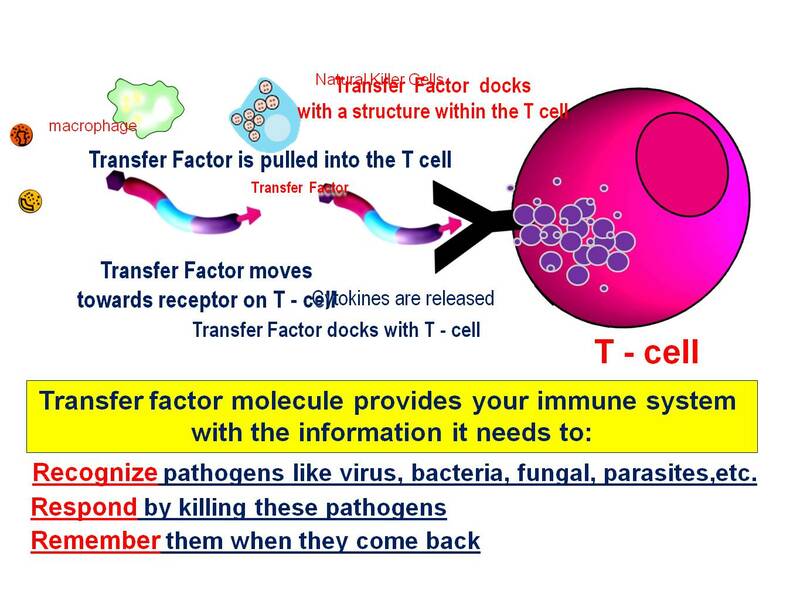 That’s because K9 Transfer Factor™ is designed to bond with the immune-modulating compounds in K-9 Immunity™. By doing so, it increases their absorption and bioavailability. This significantly enhances K9 Immunity’s™ effectiveness. In turn, it increases your dog’s chances for improvement. 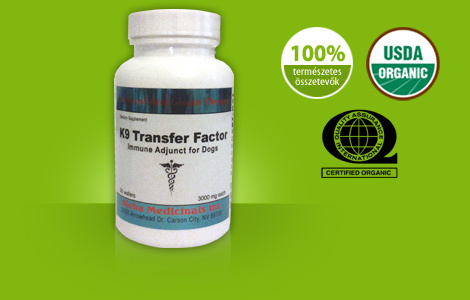 For maximum effectiveness, K9 Transfer Factor™ also contains optimal levels of IP6 and SOD (super oxide dismutase). Both well-studied for their intense antioxidant and anti-cancer effects. Note: If you use K9 Immunity Plus™, it contains K9 Transfer Factor™ so you don’t need additional transfer factors. 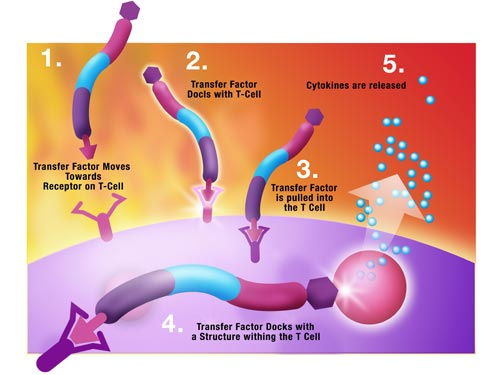 Can I use human grade transfer factors? There are many brands of transfer factors available in health food stores. Both human grade and canine grade work with K9 Immunity™. However, our manufacturers invested over three years researching with a major veterinary nutrition company to develop the ultimate transfer factor for maximum effectiveness. And K9 Transfer Factor™ comes in an easy to chew, liver flavored wafer dogs love. K9 Transfer Factor™ is safe for all dog breeds and has no known side effects. This formula is safe for dogs of all ages, pregnant dogs, and nursing dogs. As with any supplement, we suggest discussing the dosage with your veterinarian first. K9 Transfer Factors™ contains a balanced mixture of both bovine and avian derived transfer factors, in a 3000 mg easy to chew, liver flavored wafer. This formula is safe for dogs of all ages, pregnant dogs, and nursing dogs. As with any supplement, we suggest discussing the dosage with your veterinarian first. 1 wafer daily. Or as recommended by your veterinarian. ½ wafer daily. Or as recommended by your veterinarian. (c) 2012 K9-DoghealtH.com | K9-Immun LLC. IMPORTANT: Cancer is a very serious disease. The information provided here is intended for educational use and is not intended to substitute for the advice of a professional. This page is not intended as an endorsement of any product. You should discuss all forms of treatment with your veterinarian and/or oncologist.